THE new boxing ‘season’ begins this weekend after the summer break and it is a case of new beginnings for the Celtic super-featherweight champion, Anthony Cacace (13-0, 6KOs) who returns after almost a year out. The 27 year-old was last in action when stopping Ronnie Clark for the belt in October last year, but after their relationship broke down, he and former handlers Cyclone Promotions agreed to part ways in May and since then, ‘The Apache’ has teamed up with manager, Pat Magee and trainer, Brian Magee. This Saturday in Wigan, Cacace will put a frustrating period behind him against an opponent yet to be confirmed for what will act as a warm-up to what could be a productive couple of months before Christmas. “This just seems to have been my luck,” said Cacace ahead of this weekend’s return. “I haven’t been able to get a bit of momentum. One minute you think you are and the next you aren’t boxing for nearly a year. It has been a shocking year, but I’m just glad to have it over me now and move on. It most certainly is as while Cacace has been out of the ring for much longer than he would have liked, the time out hasn’t derailed his standing in the British rankings as it seems likely he will box for the British title before the year is out. Originally, he was due to face George Jupp in a final eliminator, but with Jupp said to have withdrawn, it now seems likely he will be mandatory challenger for the winner of next weekend’s meeting between Martin Joseph Ward and Andy Townend who fight for the vacant title. That challenge would likely be ordered within 90 days, but Cacace, who has endured more than his share of ups and downs is not taking anything for granted. “I should have a straight British title shot before Christmas, but you never know with boxing,” he said. That title show will of course be derailed if he slips up this Saturday and again, he insists there is nothing certain. “I’m just going to Wigan on Saturday and take it as it comes,” he continued. “It’s meant to be (blowing off cobwebs this weekend), but you can never go in thinking that. I certainly don’t like to. 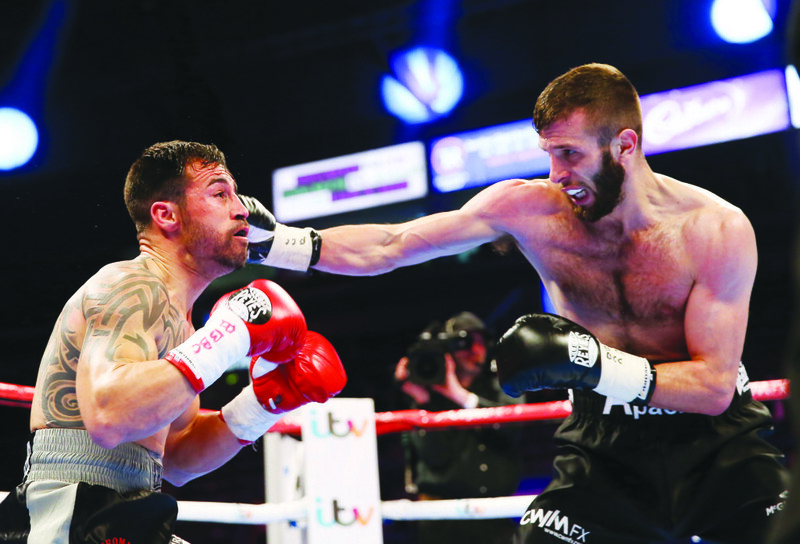 It is yet to be seen what the British Board of Control will or won’t order after the Lonsdale Belt is in the possession of either Ward or Townend next week, but for now Cacace is just happy to be back in the gym doing what he does best. “It’s just great to be back training again,” he confirmed.